Lovers machines Lexus SC 300-400 from Vancouver! Hello, lovers machines Lexus SC 300-400 from Vancouver! I Vadim from Russia to the Urals going to the Lexus SC 300-97. Last year I was in Vancouver and in the streets of the city saw cars - Lexus SC 300-400. I looked homepage club - Club Lexus Forums - Regional ClubLexus Forums - Canada, but did not find it there so fans of those machines. 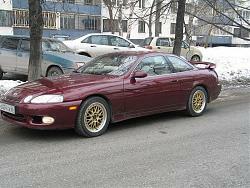 I would like to know - many of the owners Lexus SC 300-400 in Vancouver ? Whether they have any club meetings? Do they organize amateur competitions in Vancouver only on machines - Lexus SC 300-400 or such meetings are held with the participation and other machines? I would be glad to talk to the club site and in personal correspondence with the Lexus SC amateurs machines from Vancouver 300-400. 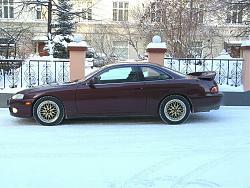 Hello - Woozzle and other guys and girls - Lexus SC 300-400 lovers! How much you have in Vancouver club members with Lexus SC 300-400 machines, which are constantly communicate among themselves - informal "club" ? What you have already held meetings ? You can see the description of these meetings, photos ? What guys are doing with the Lexus SC 300 machines ? I definately have an SC300 SC400 machine! Woozle and I are just a small part of the SC300 SC400 machine community. In fact, we hope to get several thousand (or 10 maybe) of our beautiful machines together for a nice cruise around our fair city. Are you coming to Vancouver? I think you should! 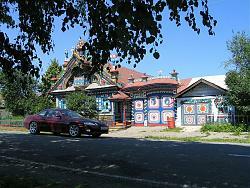 We have lots of crazy Russian people here too and many of them drive Lexus's as their nice car and Lada Samara's as their daily drivers. Just kidding....haha. Thank you responded to my letter. I am pleased to know that you are well shutish. A good joke - it is almost a glass of Russian vodka and Russian vodka is never redundant. Just kidding....haha. I really interesting to talk about our cars. In Vancouver warm winters without snow and sustainable frosts. 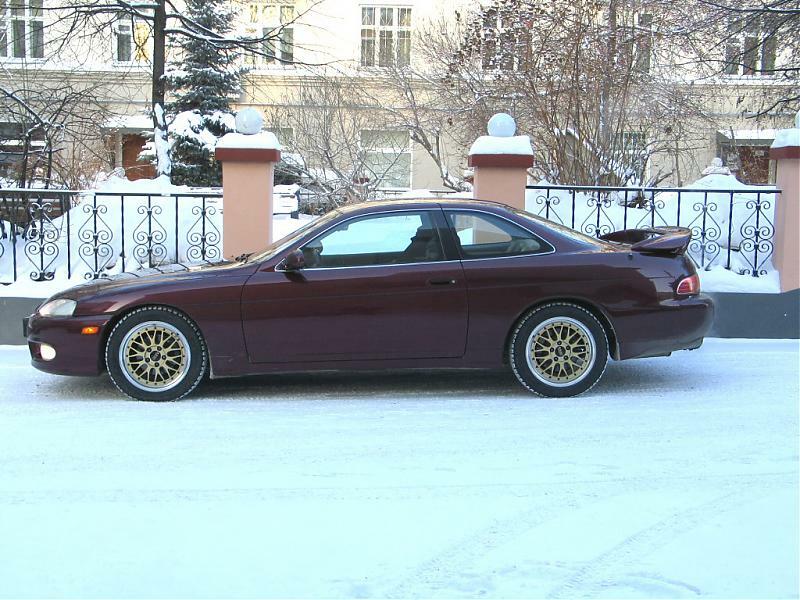 But in Yekaterinburg, the city where I live is always winter with the snow and frost prior to the big -35 º C. I and my buddies have Lexus SC 400 and Touota Soarer TT ride on those machines all seasons and in all weather conditions. In winter, a very dangerous and rapidly accelerated as quickly and effectively stall, as well as very slippery, but it is not pleasure Drift when cornering at high speed on city streets intersections, using the slippery road. Me and my buddies - seven people are meeting almost every month. Come on their cars, talking, and who made that with his machines, appreciate how it looks, communicate. In the winter we all prepare for summer season, set a new summer tires, beautiful and light wheels, more powerful brakes, sports desk with springs - Tein Comfort Sport or Tein Flex or Tein Super Street or CST ZERO-1, K & N filters, front and rear strut bar, body kits, rear spoilers, restore Headlights (low beam), audio and video systems and perform other improvements of our cars. I reconstructed the Headlights (low beam) with the American standard illumination of the road. American Headlights (low beam) cover bad road. I reconstructed them in a window curtain under the Russian standard (http://toyota-club.net/files/faq/05-07-10_faq_far.htm). Russian Standard beam - the most effective. You can look at my album with a description of work on the reconstruction Headlights (low beam) (http://www.e1.ru/fun/photo/view_album.php?id=66026). Now all of Russia from the S-Petersburg to Vladivostok reconstruct their headlights on Lexus SC 300/400 and Touota Soarer TT in my gallery. I wrote about this in our Club forum. By awsm no one knew what it is - reconstruction Headlights (low beam). When summer comes, we will install machines at our summer tires without spines, here too we will arrange a permanent drive. In winter, we held competitions for the management of the machine on the ice. Normally such route is preparing to leave the lake and there are many machines to 200. Such competitions are organizing classes for the machines and serve until the end of the day when it becomes dark and the need to drive with the lights switched on. 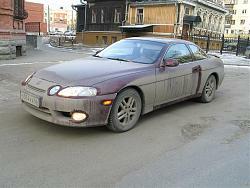 Kratos - you always meet with their buddies amateurs Lexus SC 300/400? As these meetings take place? What are you doing? In Vancouver, and tours are conducted in the winter competitions at the Lexus SC 300/400 and Touota Soarer TT? A good illumination of the road beam headlamps - in the English language is - Headlights (low beam) does not depend on light bulbs - 55 W or 130 W or HIDs. A good illumination of the road creates an optical device beam of light (Headlights (low beam). The device shall create light beam regular shape and sufficient brightness. American Standard beam headlamp beam (Headlights (low beam) does not create a good illumination of the road. Therefore need to reconstruct itself optical device inside the beam of light (Headlights (low beam). Reconstruction After normal in 55 W lamp illuminates the way perfectly! This I experienced myself. Very glad that you liked my coaches jet for two persons brand Lexus SC 300. View how sometimes my SC 300. You created a good topic: https://www.clublexus.com/forums/sho...d.php?t=337186. There will come ladies and gentlemen at its jet kareta Lexus brand. Ladies and gentlemen of Vancouver, the distinguished Kaydee - SPRING, and long live your meeting! I welcome you and I will mentally you at the meeting on 30 March at the Bank of Spanish, where it all began, and where the most interesting meetings begin Lexus lovers. There will be a star Lexus meeting people, bringing them to the benefit of each other. There will be joy in the hearts and on the faces will be a lot of good upcoming, Lexus will be many photographs and wonderful fans who might see I did. I understand that you love Lexus! 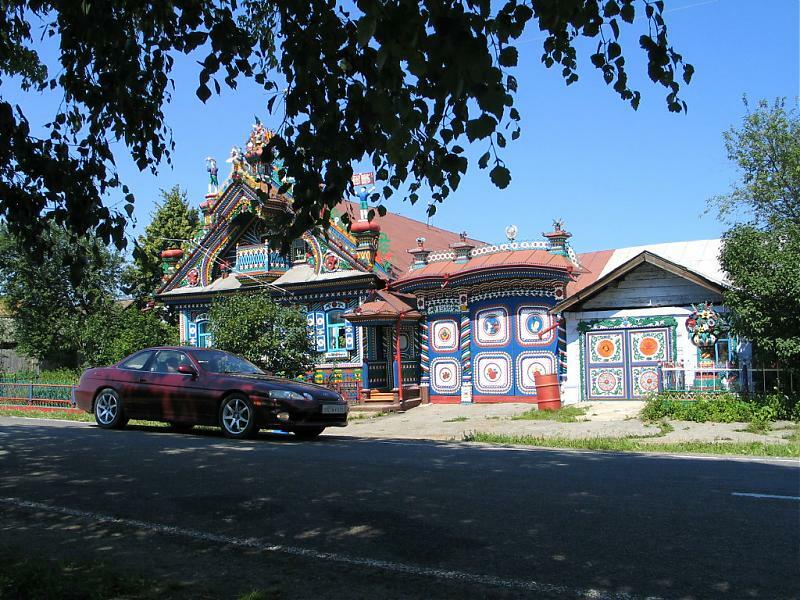 Inform you that I am well washed his Lexus SC 300, and now he is worthy of your attention and praise. Show me photos of your Lexus. I wish you good luck, Vadim. it seems like you have a lot of rims! My SC disks BBS 7.5 x17 ET +38 travels only winter tyres - NOKIAN Hakkapeliitta 4 with spines - 225/50 R17. Zade - 9 x17 ET +45, tyres Falken FK-451 255/45. These wheels can be seen on the photos of my summer SC. I wish you and all motorists Vancouver success and good races. 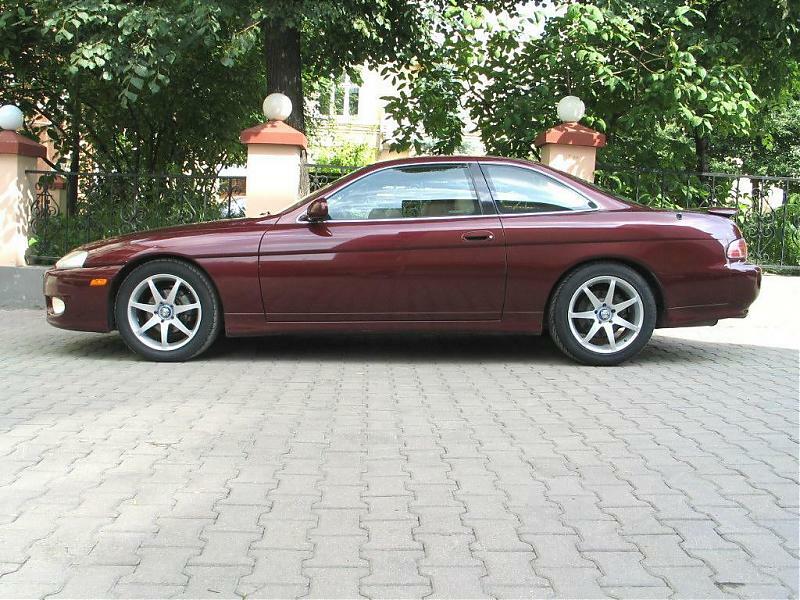 Quick Reply: Lovers machines Lexus SC 300-400 from Vancouver!